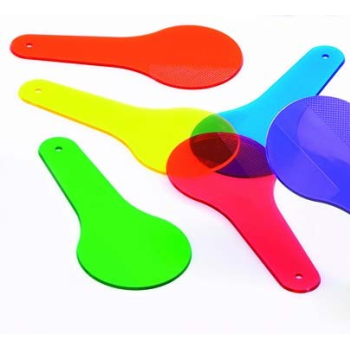 Colour Paddles (Set Of 6) - Transparent colour paddles in 6 different colours. Paddles have a hole in the handle so they can be strung together. Specification Length 150mm.